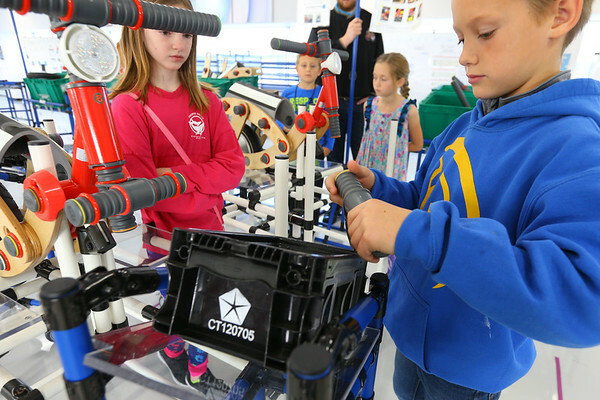 Tri-Central fourth graders learn how an assembly line works during a training exercise at Fiat Chrysler America Tipton plant on November 3, 2017. They had to build a bike with no mistakes in the quickest time possible. Kaleb Hurt assembles the handle bars before installing them under the watchful eye of an inspector.